Calling all teens with a passion for green! We invite teenagers to report on environmental stories that matter! Make a difference – take part in the teens for green contest. 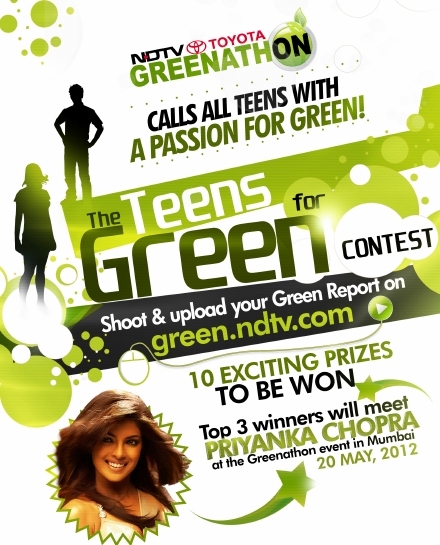 Shoot, edit and upload Your Green Report on green.ndtv.com. 10 Exciting prizes to be won.